Jason is the best lawyer in Jacksonville. Jason is the best lawyer in Jacksonville. I have had the pleasure of having him represent a family member and his work was above and beyond what any other attorney would have done. He will work with you where ever he can to get the best outcome. You can trust what he says. Very high ethics .I have called him my Perry Mason, and I really mean it. If you want THE BEST trust Jason Porter, he's real. Mr. Porter and his staff are fantastic. Mr. Porter and his staff are fantastic. They clearly explained the charges, potential outcomes and estimated timelines. They worked closely with me to tailor their services to my unique situation. The entire team demonstrated extensive knowledge of the law, flexibility, and responsiveness. These qualities helped put my mind at ease until they were able to get all charges against me dropped. I would highly recommend this law firm. The experience was just wonderful! We would recommend them 10 times over. My fiancé and I were referred here by a friend. Our lawyer was Nicole Carlucci and paralegal was Danielle Castillo, they were beyond wonderful. Easy to communicate with, always gave us our options and never made us feel pressured. Our relationship with them was very personable and we always felt as if we were their only clients! We seeked their help with regards to child support and time sharing. The experience was just wonderful!!!!! We would recommend them 10 times over. Mr. Porter and his staff do an incredible job! Mr. Porter and his staff do an incredible job! I would strongly recommend Mr. Porter, he is very easy to work with and does everything he can to help you in your situation. Nicole Carlucci is an absolutely amazing attorney. DIVORCE is one of the toughest things that you will ever experience in your life, especially when you have 4 young children involved. As a father fighting for 50% custody of my children this wasn't gonna be an easy task. Nicole Carlucci is an absolutely amazing attorney. Not only did she help me get 50% custody of my children, she absolutely destroyed the opposing attorney. They wanted 800$ a month child support, (I ended up paying 250$ a month) on 4 children. I would highly recommend Nicole Carlucci for any legal needs. Nicole Carlucci is always prepared & very professional. My life is in a much better place today because of Jason's integrity within the community and relationships with the judges & state attorneys. 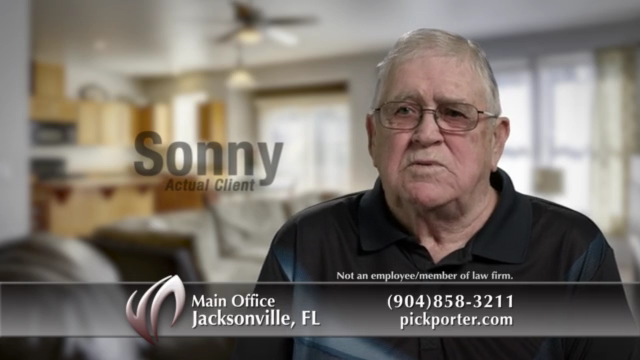 I have had several cases with Mr. Porter as my attorney. He went to bat for me and fought hard to get a great outcome every time! He is a top-notch attorney in Jacksonville and very professional & honest when dealing with each scenario of my cases. My life is in a much better place today because of Jason's integrity within the community and relationships with the judges & state attorneys. Mr. Porter and his staff were wonderful. Mr. Porter and his staff were wonderful. They treated me like family and did not stereotype me. They fought a long and hard case for me and got the best results! Now I'm skippin down the road with no worries, back to regular life! You couldn't find a better lawyer anywhere. I haven't had a lot of legal problems in my life but enough to truly evaluate my attorneys. 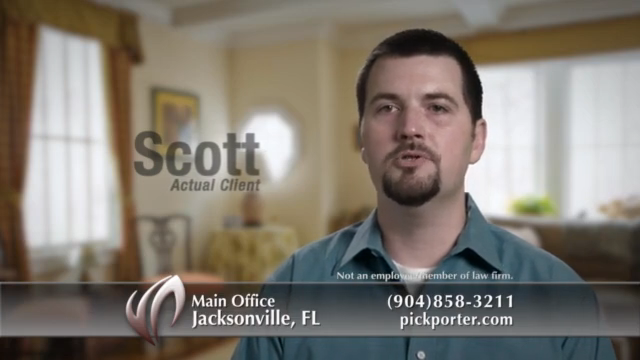 By far Jason Porter makes you feel like you are his only client. He knows the law and the legal loop holes. To boot he is a heck of a nice guy. You can trust him with your life. You feel that he loves his work and really cares about you. You couldn't find a better lawyer anywhere. My family has had several unfortunate situations that required legal assistance. Jason and his team have handled all of these situations and were nothing less than amazing with each circumstance. We were always treated with respect and empathy from the entire staff. Jason Porter is honest, extremely knowledgeable, professional and he truly cares about his clients. There just are no words to accurately describe this wonderful group! Thank you so much for everything. I meet with Mr. Porter today, he was so helpful with my situation. He was kind and should true compassion for this situation. He gave me information I have not been able to get anywhere else and I have tried. He gave me hope that there is light at the end of this tunnel. I have a much better understanding of what I need to do and how to proceed with this situation. I am grateful that Mr. Porter gave me the time and attention that he did today. I would encourage anyone needing help in a criminal case, no matter how big or small go and see Mr. Porter, I can assure you that you will not be disappointed. Mr. Porter thank you for your time today and all of the information you provided me with, it is appreciated beyond belief. I have to go into detail here because there’s no way That I cannot give high praise for what Nicole Carlucci did for my daughter and I. I’ve learned the hardest way possible that men tend to be at a great disadvantage when dealing with a divorce and with custody problems. My ex-wife kidnapped our child and had every intention of destroying our bond and the great relationship we have. It’s the saddest thing in the world how some people take their own struggles and personal feelings out by using their children as pawns and manipulating to hurt others. Which is why I could not be happier and more grateful for the day I walked into Porter & Porter Law Firm. From day one, my story was heard, understood, and through a year and a half of what felt like full on war just so I could maintain my relationship with me daughter without us being ripped from each other’s lives, Nicole Carlucci supported me and used her expertise to get as close to the absolute best result possible. She never gave up or gave in and that helped me to stay strong, too, when there would be days or weeks my daughter and I would not see each other. If not for Nicole, I can only imagine how much more awful such a nightmare of a situation could have gotten. However, I am now divorced, continue to have an amazing relationship with my daughter, and have court orders to hold my ex responsible and accountable so that way certain things will hopefully never happen again, and if they do, I know who I am calling!! Nicole’s passion to help someone being taking advantage of and her drive to ensure justice be served when someone is manipulating the system is exactly what my daughter and I needed so we can live a happy life. Thank you Nicole and Firm!! The best attorneys you will find. I love you guys! Two very scary DUI cases in my life. The first involved a wreck, the second with a very high BAC. Jason Porter and Gary Shumard, you are both so very amazing and you have saved me so much havoc on these cases. Reduced to reckless on the first, and on the second, saved me from having the interlock system order in my car, another 10 days of immobilization, and more jail time. From the beginning, these two kept my anxieties calm through this process and the outcomes took all that load off. If you are financially strapped, trust me, they will work with you on that too. Sincerely. I love you all for everything you have done for me. I recommend this firm to everyone. Aggressive and Compassionate. Highly Recommend. I'd been accused of something I did not do. My situation was a total nightmare. I consulted with Attorney Porter and he assured me that my tough situation could be handled. Attorney Gary Shumar tirelessly worked my case, while showing patience and empathy when I felt frustrated. Needless to say, my charges were dropped. I highly recommend this firm. It always baffled me how much both Jason and Gary knew about the intricacies of my case at any given time. These guys work for, and show up to court for, their CLIENTS - in other words, they're not cutting a bunch of deals to clear dockets. I will never go anywhere else for legal advice - these guys are the real deal. Ms. Maureen Horkan is a wonderful attorney. When I went through my divorce, Maureen guided me legally,mentally,and spiritually. Trust me I was off the beam!She helped through the forest and the trees and for that. I am happy to say,I am trudging the road to a happy destiny. I am very grateful to Ms. Horkan and the Porter Team. Jason Porter is an excellent attorney. I'm very happy with the results. he saved me money and solved my problem. I can't say enough regarding the gratitude me and my family have for Maureen Horkan. From the start she welcomed us with a caring heart. She put everything into our case and made the best things happen! She is not only a dedicated lawyer she truely cares about her clients and has such a huge heart and will put all into the case. Her care and sincere concern for the client she represents is genuine. This woman was amazing! Our case turned out exactly as expected. Bravo Ms Horkan. You are our hero. Maureen Horkan is an amazing attorney who only had me and my best interests at heart!! Maureen Horkan is my attorney and helped me through a very difficult divorce. She worked very hard to get the best possible outcome for me. She is an extremely intelligent and caring individual. At the toughest moments she was the most kind and caring person, always there with words of encouragement and a hug when needed!! I would highly recommend Maureen Horkan to handle any of your legal needs. She was a Godsend! I highly recommend this firm! My experience was nothing short of dare I say, awesome. It started with the friendliness of the staff in the firm. Everyone was so super nice and everyone greeted me. I was there to see Ms. Horkan. This lady is truly the real deal! I have had consultations with other attorneys, 1 of which I paid, and not one of them gave me the thorough knowledge, encouragement and breakdown of what I was going to have to face with my impending divorce. When I left, I felt like I knew exactly what steps to take moving forward. I am so very grateful. Thank you so very much! I went in there with questions about my situation. She gave me great information on how to go about reacting on what I would be facing. She was straight forward, pleasent, and honest about what she could do and information that she provided. I know that she is well over qualified to be on my case. I recommend Maureen Horkan she will get the job done right the first and only time!!!! I have had a visit with my son!!! Thank you so much! !!! Maureen Horkan FIGHTS for you! Don't worry, she will help you. Maureen has a rare and awesome knowledge of the law. She fights like a warrior in and out of the courtroom. She has a special gift for understanding the family law field, and I know that in time and through very, very good and careful advocacy, she will win your case. No matter what you do, Maureen will be behind you. She has integrity. She wields the law like a weapon. And I know she will win for me too! I love my attorney! She is the best!! The best team ever" MS. MAUREEN T. HORKAN " ,( I was more than satisfy). Hi my name is Nina and I am writing this review for the public to know that Marlene Hordkin she is an excellent attorney she will go to bat for you. She is compassionate , intelligent , has morals and values she will go the distance to see that your voice is heard and that your case is presented clearly before a judge and that all the evidence is brought into light. Mrs. Hordkin is an amazing woman and an attorney and if you ever need help I suggest that you call her immediately. I want to personally thank you again Marlene you are amazing and the world needs more like you. God bless you! This Legal Team is Wonderful! Impressive Attorney’s very knowledgeable, able to fight for your rights always kind, handles conflict with professionalism by knowing their clients and the law. Great team! If I need attorneys every again I will return to them. PERSONABLE SERVICE AND DOWN TO EARTH ATTORNEY "MS. MAUREEN HORKAN"
When I first met Ms. Maureen Horkan I immediately felt like I am not alone. She made me feel like I am her priority. Living here in the United States without any relatives other than with my abusive husband is very hard. English is not my primary language but she was so patient to listen to me. She fought for the injunction that I filled against my husband. Without her sincere dedication to my case my daughter and I would probably stay in the shelter or homeless with no child support. Thank you very much Mam, She was visible and accessible when I needed her. If you guys need an attorney that has a big heart and dedication to her job, MS. MAUREEN HORKAN is the one. I know in my heart that God leads me to the right person and she is like an angel that saved me from misery. She has the most humble and sincere heart. Now I can say that I am stronger, bold and courageous. Thank you MS. Maureen, YOU ARE SUCH A INSPIRATION!!!! He went all out to help me and never gave up. I owe him all my thanks. He honestly cares and doesn't make you feel less than special. They turned my frown upside down! I truly appreciated Maureen's help on my case, She put her best effort forward for me and it paid off! I owe them the moon. Excellent service and great explanation of all matters. Precise and very professional. Thank you for all that you do! God Bless you all! The Best I Could Imagine!!! I used Jason Porters services after a bad roll over accident involving myself and my ALMOST 1 year old daughter when I lived in Jacksonville. Within 24 hours of contacting the office, I was seen by 2 physicians and my case was in full motion. My husband was deployed, and I was scared at first. However, Mr. Porter and his ENTIRE staff had me at immediate ease. I could email or call his assistant at any hour with any concern, and would have a response very quickly. I would highly recommend this office to anyone at any time. The compassion of the entire staff was more than I could have expected. Jason Porter and his firm were great. From the beginning to the end they helped me with all my needs and fought for me. Thank you! Jason and Gary have been a tremendous help and provided relief in a time of worry for my family. They kept us informed and went above and beyond for us! I will recommend this firm to everyone! I will never be able to thank Jason Porter enough. Jason Porter has helped me on two separate occasions and both times his attention to detail really impressed me. His staff is wonderful and easy to work with. The second time I worked with Jason Porter, he turned what I thought was a hopeless situation into a miracle. He literally got me my life back by getting the charges reduced. His experience as a trial lawyer came in handy when he had to work with the district attorney to change the judge's mind on my case. Jason Porter has a calming demeanor and he instilled confidence when going over the details of my case. I tended to be pessimistic, but Jason Porter would always reassure me and keep me positive. I will never be able to thank Jason Porter enough for all that he has done for me and my family. I hope I never need a lawyer again, but if I do I know I can count on Jason Porter to give me my best chance at a favorable outcome. Jason and his staff were very professional. 100% success rate. I used Jason Porter's services two different times for a DUI charge. The first DUI case I never lost my license and he won the case. The second time it was a little more difficult because of the circumstances but we took it to trial and it seemed like an effortless victory. Jason and his staff were very professional and helpful through the entire process.I could not have asked for anything more. Thank you so much for everything. He is a seasoned professional that is respected within the law community. I first met Jason Porter in 2003, when our children attended a Christian Preschool together. I saw what he did within our community. He helped many of the families from the preschool over the years so when it came time that my family needed a lawyer I chose him. Jason has helped my family and several of my personal friends, all with positive outcomes. He is a seasoned professional that is respected within the law community. You will be treated with the utmost respect and compassion. I don't know another lawyer of his caliber that offers free consultations and you speak to him personally. Pick Porter. Mr. Porter was so nice and explained everything in a way that I could understand. When I got into an accident, I didn't think I needed a lawyer. However, everything was so confusing and the insurance company was being very pushy. Once I decided I needed to contact a lawyer, I wasn't sure who to call. On the recommendation of a friend who had used him in the past and had a very good experience, I called Jason Porter. I was given an appointment the next day and it was during that appointment I knew I had contacted the right law firm. Mr. Porter was so nice and explained everything in a way that I could understand. He assured me that I would not need to do anything but to get better and he was right! He and his amazing paralegal handled everything so I didn't have to deal with all of the confusion of the insurance company while trying to heal from the injuries I sustained in the accident. Ultimately my case was settled with the insurance company and I received a very fair settlement. I am hoping I never have to use a lawyer again, but if I do, I will definitely be contacting Mr. Porter again. Jason answered all my emails and phone calls. There is nothing like the fear and uncertainty the legal system brings to keep you up at night, especially when it involves your child. For this reason selecting an attorney was one of the most daunting and important decisions I made; after much research that’s why I chose Jason Porter. Throughout the legal process Jason answered all my emails and phone calls, he figuratively provided the hand holding my son and mostly I needed to be reassured the outcome would be in our favor. Needless to say the outcome was in our favor and I could not have been more pleased with Jason’s service. I was so pleased with Jason’s professionalism and legal savvy that I asked if he practices law outside of criminal defense, so I could use his services for all my legal needs. He will always receive my business in the future. When needed, you answered my questions clearly and politely. The purpose of this letter is to compliment your law office and its associates on its excellent service. When needed, you answered my questions clearly and politely, offered recommendations, and worked expediently to ensure that all possible aspects of my case have been covered and researched. He prepared our family through each and every step. Bad things happen to good families and people” That is one of the first things Jason said to me and my son. The laws are set to protect us. However, the law can be black and white when there are several shades of grey. If a man has a beer in his own house after coming back from war but is only 20, should his dad be charged for contributing to the delinquency of a minor? Have you ever done something now looking back, it may not have been the best decision but nothing happened? That was not the case a few years ago to my family. A bad decision, one I am sure many of us have done in our younger days. A bad decision was made and it could have ruined a young man’s future. The courts are busy and things can fall through the cracks; I was making sure my son was not one of them. I knew Jason had worked for the District attorney’s office so he knew both sides of the law. He knew what the other side was going to do and say because he was there for many years. He prepared our family through each and every step. He made sure that we were proactive “getting ducks in a row” so to speak. If there was something mentioned, we had already taken care of it and showed no history and really no where for the other side to go. What could have been jail time ended up being a bump in the road. No one can promise anything is a sure thing. Jason did not make any promises he was not prepared to keep. He told us what normally happens, and what he was going to try for and he did. I rather have someone say there is a 70/30 chance than, “sure this is no problem, don’t worry about it”. We do worry about it. It is our lives or one of someone we love. Some cases may not be life or death, but they all are between a life that could be and a life that never will be. Jason understands that and approached it as if was his brother standing next to him. Every now and then, I will look at my son when eating dinner or something and think, if it was not for Jason and his group, I would have to visit my son to see him. I thanked God for Jason being there then, and have every day since. He is our family attorney forever. There are times when you may need unforeseen legal assistance and your scared and don't have a clue if youre making the right choice. The decision is not an easy one when it's based on your family and life. You worry if they have your best interest at heart, if they know enough, if they know the right people and it's very emotional & confusing. Ten years ago my family was faced with the worst nightmare any mother could ever imagine & I prayed to God to make the right decision and I did. Meeting Jason Porter & his assistant Darlene C. (she's been with him longer than that), was the best in my life in my family's life. Jason doesn't have a big office turn around, in fact I have watched his office grow to the success it is today. His staff stays because they know they are with a terrific guy & great attorney. I can go on and on and mean every word from the bottom of my heart but the are truly no words to describe the great outcomes he has had for 2 of my sons on separate occasions. Unfortunately, we don't live in a society anymore where "boys will be boys". There are way too many laws and not enough of societal morality (due to a change of the times). Boys may get in trouble, they did get in trouble but with their unfortunate choices, my choice was the better in retaining Jason and his law firm. He is our family attorney forever. Mr. Porter was very friendly and knowledgeable. Mr. Porter helped me in 2010 with a Breach of Contract case in which he was able to recover my earned commissions from my former employer. Mr. Porter was very friendly and knowledgeable in the area of Non Compete agreements which allowed for a quick settlement from my former employer. The staff was great and addressed my issues and questions in a timely fashion. I would recommend Mr. Porter to anyone that has a case in the areas he practices in.